LEAK: Pasuma ft. Phyno – Am On Fire (Prod. DJ Toxic) | LiveFromNaija! 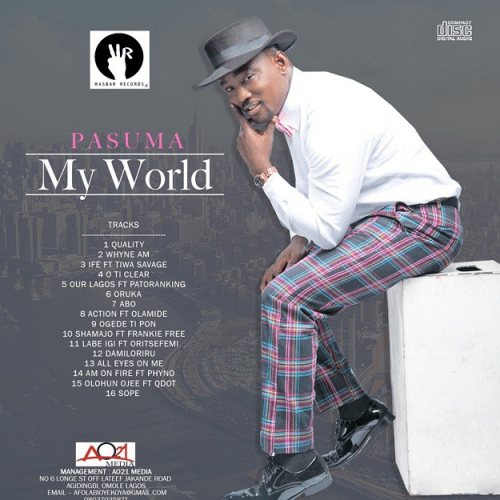 It’s no news that “Oga Nla” – Pasuma Wonder has decided to test the waters of the Pop scene in Najia and he seems to be doing quite well with some decent jams under his belt.Well, the highly anticipated Pop Album by the Fuji veteran – “My World” drops this week and I got hold of one of the picks off the album. This tune; “Am On Fire” featuring Phyno dropped in the mail a couple of minutes ago and I just had to put this up for your listening pleasure. Do well to Share .